Adele Gordon awarded AmeriCorps member Juan Javier-Desloges with Fairfield County’s June Employee of the Month designation. Juan was not available to receive the award at the staff meeting because he had to leave to start his first semester of medical school. CONGRATULATIONS Juan!!! Adele praised Juan’s work with CHC, which he did with enthusiasm and extraordinary effort. From participating in various community fairs like Stone Soup and the Hispanic Fair, to organizing a successful Red Cross blood drive in Stamford and helping to organize Norwalk’s Give Kids a Smile Program, Juan embraced CHC’s mission to reach out to all community groups to provide access to world-class health care. Juan was an enormous help in signing up Fairfield County children for Husky. His effort greatly contributed to the success of the CHIPRA grant awarded to CHC. 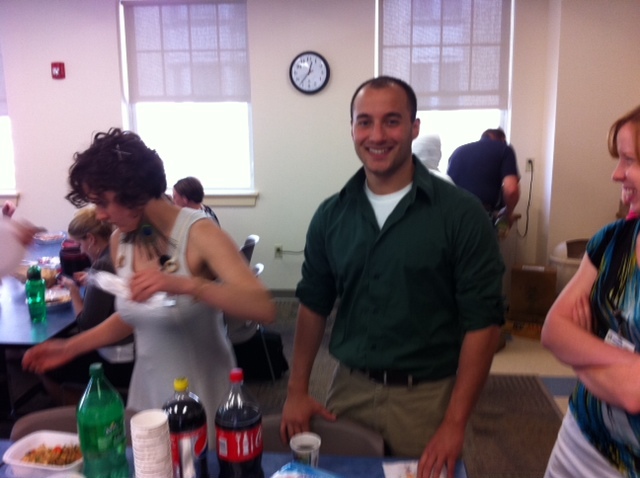 Juan will be greatly missed in our Fairfield County CHC offices. His positive attitude, willingness to take on new projects, and self-motivation made Juan an integral part of our team. We wish him the greatest of success in medical school and beyond.